Andrea* knows litigation, providing insightful advice and experienced advocacy in professional liability and regulation matters, commercial disputes, and health law cases. In every case, Andrea works§ closely with her clients to get the best results. 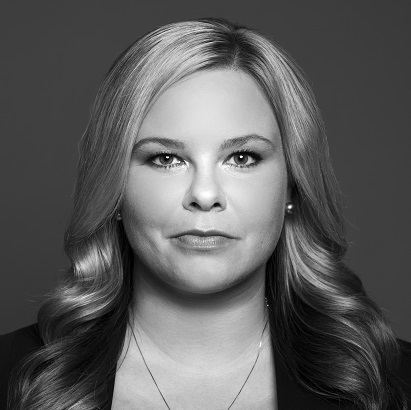 Prior to joining Lenczner Slaght, Andrea was a federal Crown at the Department of Justice, where she worked on complex and high-profile litigation at all levels of court, including the Federal Court of Appeal and the Supreme Court of Canada. Andrea’s diverse background is the reason why she always works smarter‡ and finds creative solutions for her clients. Having been published in both legal and academic journals, she has the knowledge and drive to solve the toughest problems. .
Andrea's litigation practice covers a range of areas including professional liability and regulation, commercial disputes, employment and health law. Andrea has represented clients in Superior Court, Federal Court, and private arbitration. Prior to joining Lenczner Slaght, Andrea was a federal Crown at the Department of Justice. During her time at the Department of Justice, Andrea worked on complex and high-profile litigation at all levels of court including the Federal Court of Appeal and Supreme Court of Canada. She also assisted on numerous anti-organized crime and drug trafficking prosecutions. Andrea has an extensive background in research and psychology and has published numerous scholarly articles in both legal and academic journals. Prior to law school, Andrea completed her Master's degree in Human Development and Applied Psychology at the University of Toronto, where she also worked as a Research Manager. Andrea Wheeler co-authored the article Canadian relocation cases: Heading towards guidelines that appeared in Volume 30 of the Canadian Family Law Quarterly. Andrea Wheeler co-authored the article More Clarity Needed for Relocation Cases for the February 17, 2012 issue of the Lawyers Weekly.